When I was in highschool I read a book called ‘The Gift ofFear’ by Gavin DeBecker. DeBecker’s an expert in predicting and managing violence in pretty high profile cases and in his book he provides compelling stories and cases that demonstrate how incredibly important fear is as an instinct that can help keep us safe, and even save our lives. A woman is standing in front of an elevator. The doors open, and inside is a man. The woman immediately tenses up. Something about him makes her extremely uncomfortable, although she doesn’t know why. 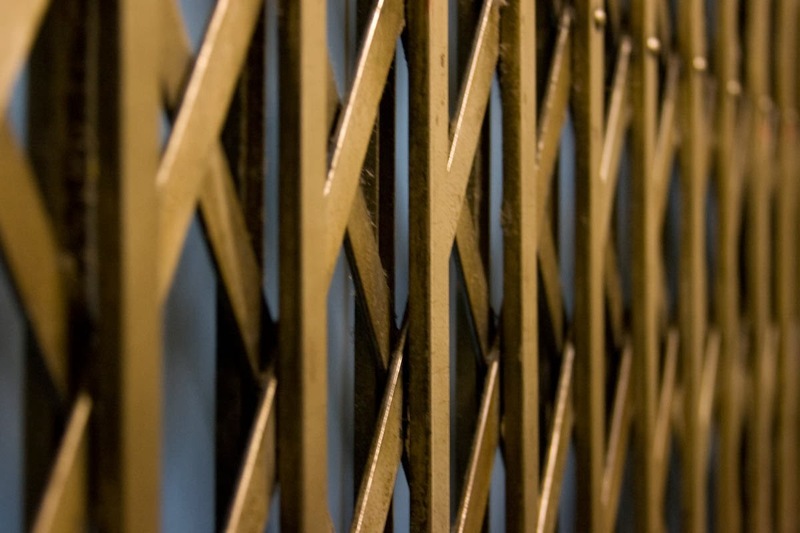 Should she tell him she’ll wait for the next elevator at the risk of offending him? Or step into a soundproof, steel cage with a strange man that makes her extremely uncomfortable? I'm paraphrasing here, but it was one of the most profound things I had ever read. I would have stepped into the elevator. I would have ‘rationalized’ away the discomfort, ignoring whatever it was in me that said something was not right. I would have risked my safety for the sake being nice. What DeBecker was talking about was completely antithetical to everything I’d ever been taught. Be polite Janie. Use your manners. Don't make waves. Don’t do that, you might get hurt. I was taught to avoid pain and fear. I was taught to be sweet, and polite and quiet (and preferably smart). So I didn’t exactly have a lot of training in fear. When I was a kid my grandma used to take me, my brother, and my cousins camping. On one of our camping trips I woke up in my kid-sized pup tent, expecting to see the orange ceiling of the tent. Instead, I saw a crawling swarm of SPIDERS. My grandma and cousin had to carefully pull me out as I lay paralyzed inside of my sleeping bag, inch by inch to make sure the ceiling of spiders wouldn’t collapse on me. I’ve basically justified my (irrational) fear of spiders ever since. 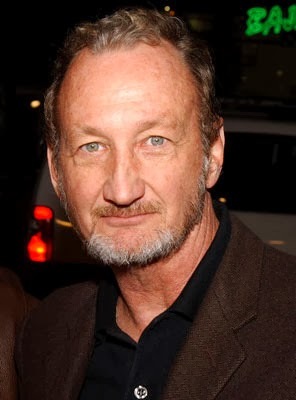 afterwards… until I saw ‘Freddy’ (actor Robert Englund) at an awards show. He was in full tuxedo but wearing Freddy’s claw, and something clicked for me... I realized those movies were just make-believe. They weren't REALLY scary. So a lot of horror movies followed; in fact, my mother had a note on our file at the video store (you know, when those still existed) saying my brother and I could rent anything we wanted, any R rated movie our little hearts desired (of which we took full liberty). I was definitely exposed to a lot of horror and gore. And I actually tend to argue for children watching horror movies, because it seems like the safest way to move through feelings of fear- to experience it in a completely safe environment. I’m not sure what Gavin DeBecker would think of theory, but it’s a theory. When I was in highschool something even more profound than reading The Gift of Fear happened… I became pregnant. I should have been afraid. If I had had any clue what was really ahead I probably would have been terrified. But when I realized I was pregnant I went off silently and got strong in myself. I wasn’t without fear, but I knew from the second I realized I was pregnant that I was a mom, and needed to be strong in that. What I wasn’t fully cognizant of was that the guy I had been dating- my son’s father- would become abusive. DeBecker would likely tell me that some part of me was aware, and he’d be right. I used to journal a lot and have kept all of the journals I’ve ever written in. I can go back to that time and see in my writing that I did know. I saw the warning signs, I knew there were red flags, and I ignored my intuition. He systematically created a situation where I was no longer allowed to be with or talk to friends, or even family without being punished. The things you would get punished for was the easy part. He made it pretty clear what he didn’t like, and you got punished for doing things he didn’t like. So you could at least figure those out and try to avoid them. But the punishment itself could be getting the silent treatment for 2 weeks, not knowing when you'd be spoken to again. That one was a hard one for me. Punishment could just as easily be that he’d haul off and beat the cat, put a hole in the wall, or cross a line with our son. You just weren’t really sure of what you were going to get. It’s one of the really subtle tortures of being in a relationship like that. You get to this space, not really sure how you got there, and you can’t make good decisions anymore because you’re mind is so thoroughly absorbed with anticipating what’s going to happen next. It completely changes your thought process. It changes who you are. I remember when we were living in this little dingy apartment and got into a fight. There was an unopened case of beer he picked up, raising it above his head and smashing it right in front of me. He came up to me and got right up in my face, chest puffed out, and he 'bumped' me. I remember thinking it was the most bizarre situation. No one had ever done that to me before. And he was goading me into slapping him. His eyes were burning wild and bright and I knew he wanted me to slap him so he could make me regret it (and feel forever justified that he did). But I wouldn’t. I wouldn’t slap him, so he put a few holes in our bedroom wall instead. Fear was a pretty regular lesson in our household, until eventually I changed what I wanted to learn. I left, went back to school, and built something different. But we’ve had to deal with each other in many instances since. Every single time my body tenses, I get short of breath, I can feel adrenaline in my system, and lactic acid rushes to my muscles making them ache for hours after. I have a very strong physical reaction to being anywhere close to him. For a couple of years while my son was playing hockey we would both attend his games, so this fear response was happening a lot between having to deal with each other as parents, and going to those games. And I got really down on myself about having this nauseating reaction. I’d load myself up with guilt for not being able to shut off that response. And I couldn’t help feeling like I had heard that somewhere before…. Perhaps in a book… But this time it really sunk in, it really meant something. I was travelling with a friend recently, and we were on a pier. The drop off the pier was pretty far, and there was no railing. I walked right up to the edge and my friend said (kind of in shock)"JANE! I thought you were afraid of heights?!". Which is completely true, I am. But I can be afraid, and do it anyway. I could just as easily say that about a lot of things. I hate public speaking. It causes me a lot of anxiety to get up in front of people and speak. It shocks people sometimes because I make myself do it a lot. But now I can be afraid and it doesn’t keep me from doing more and pushing to everything I don’t even know I’m capable of yet. It’s been at times learning through considerable pain, but along the way I realized that fear is not the end, it’s a call to action. So honestly I’m incredible thankful to my son’s father not only for giving the world my son (who just turned 16 by the way), but in a strange way because he unwittingly gave me The Gift of Fear. And I wouldn’t be where I am without it. This is a transcript edited from a personal story told at The Speakeasy Live. The podcast will be available shortly so check back, or visit www.thespeakeasylive.com to listen. WHAT FEAR HAVE YOU OVERCOME?